Cream Cheese Mints bring back a flood of childhood memories for me. 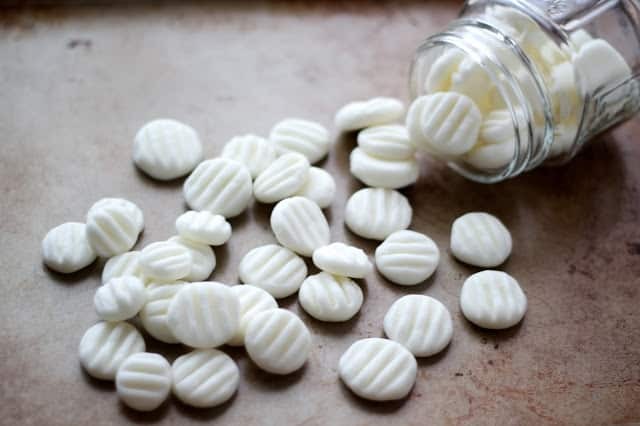 I remember sneaking to the dessert table more than a few times during my cousin’s wedding reception and discovering these amazing little mints. The mints I sneaked at my cousin Helene’s wedding were sweet minty delights that melted in my mouth. I was completely obsessed at first bite. I’d never had them before and they were irresistible! After discovering Cream Cheese Mints, I ate myself sick on them almost every time they were in reach. I got older but my inability to control myself around these mints remained. Years later, I discovered how easy they were to make. I couldn’t believe how simple it was to make my own Cream Cheese Mints. There are just three ingredients and you can dress them up however you like. Thanks to that childhood memory of gorging myself on Cream Cheese Mints at a wedding reception, these mints are what I think of as a classic wedding mint. Homemade mints are so much easier to make than I ever imagined. Unlike many homemade candies, these mints don’t require any fancy ingredients or special equipment. All you need to make homemade Cream Cheese Mints is a half stick or tub of cream cheese, powdered sugar and peppermint extract. That simple combination creates a creamy sweet base that’s delicious just as is or as a canvas for adding fun extras. 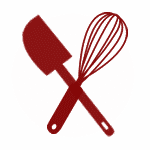 Feel free to play with the recipe and find your favorite way to make them. You can press them into molds, roll them in sugar, or add food coloring if desired. If you are looking for Old Fashioned Butter Mints, check out the recipe for those too! A combo of Old Fashioned Butter Mints and Cream Cheese Mints on a dessert table or wrapped up in a jar as a party favor is what dreams are made of. No matter how you present, style or decorate them, Cream Cheese Mints are a delightful treat. 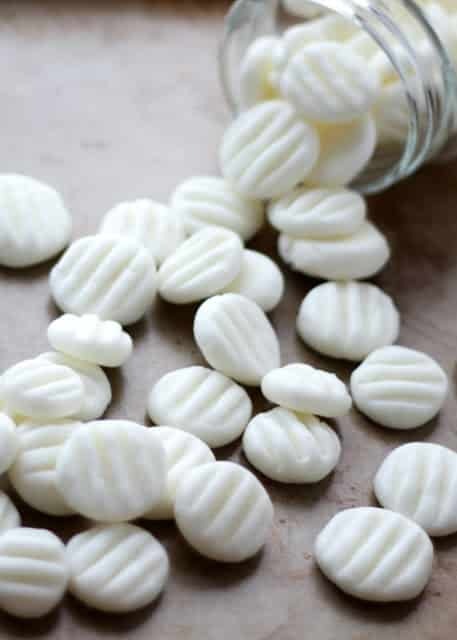 Cool, sweet and creamy enough to dissolve on your tongue, these homemade mints are every bit as delicious as those candies I remember from childhood. In my book, you don’t need any special occasion to make these mints. They’re just as good to nibble on for an afternoon pick-me-up or an after dinner treat as they are at a party or reception. 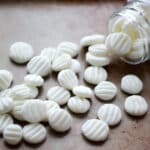 If you’re just delighted as I was to find out that homemade mints are not intimidating, complicated or difficult to make, I know you’ll want to play with making all kinds of variations! These Homemade Junior Mints take this Cream Cheese Mint base and cover them in melted chocolate. They are definitely on my list for snacks to make alongside a bowl of popcorn the next time we have a movie night. Speaking of desserts with chocolate and peppermint, be sure to give these 3 Ingredient Homemade Thin Mints a try, too. No more waiting for Girl Scout cookie season to enjoy those famous cookies! The first step to making Cream Cheese Mints is bringing your cream cheese to room temperature. Once its soft and pliable, beat the cream cheese with a handheld mixer (or in a stand mixer) until smooth and velvety. Then add 1.5 cups of powdered sugar and a half of a teaspoon of peppermint extract and beat again to incorporate the sugar fully into the cream cheese. Be sure to measure your peppermint extract carefully! Even the slightest amount of extra mint flavor can result in accidentally making candies that taste more like toothpaste than peppermints. Add another 1.5 cups of powdered sugar and beat one more time until well combined. To create round mints, use your hand or a small scoop to shape the cream cheese mixture into 1/2 inch balls. Place the balls on a tray or cookie sheet lined with parchment paper then press each ball with a fork to flatten. Chill your mints until ready to serve. These morsels keep well in the fridge for up to two weeks or in the freezer for two months. If you enjoy making your own mints and candy, be sure to check out some of the other homemade treats I’ve written about. These Homemade Almond Joys with Dark Chocolate are even better than store bought coconut candies and they put a smile on everyone’s face. I make them every year around Easter and Christmas. Along with coconut candies, I can’t let a holiday season go by without whipping up a batch (or 12) of my 5 Minute Peppermint Bark and my Peppermint Bark Cake Balls. If, after all that you still can’t get enough of the chocolate and peppermint combo (I know I can’t), move along to Chocolate Covered Candy Cane Marshmallows. They’re festive, easy to make and beloved by kids and grown-ups alike. What’s your favorite kind of mint candy? Beat the cream cheese with a mixer until smooth, add the peppermint and half of the powdered sugar and beat again until combined. Add the remaining sugar and beat until well combined. Use your hand to shape into small 1/2" balls and place them on a wax paper or parchment lined tray. Press flat with a fork and then chill until ready to serve. Store in the refrigerator in an airtight container for up to two weeks or freeze for up to two months. Enjoy! Measure peppermint extract very carefully. I never measure over the bowl! If you add even a few drops too much, the flavor will change from "mint" to "toothpaste. can you add food coloring, for say a colored themed baby shower or would that change the consistency? Sure. It shouldn't take more than a drop or two to color the whole batch. I used to help my grandmother and mom make these every year when I was a child. We would use different flavors with food colors to keep them separate. My favorite was the rum and vanilla ones. We had a bunch of the rubber molds too. If you put a little granulated sugar in the mold prior to the mixture it helps it come out cleaner. You can also use the granulated sugar with the fork method. Just roll the ball of mixture in a little sugar prior to pressing with the fork. It helps to keep them from sticking to each other during storage (if they last that long). Thanks for sharing this, it brought back so many great memories! I grew up eating ones that were lemon, orange and cherry (almond). These mints seem like such a midwest thing! I'm from Minnesota. Just a warning- I made these and they are ridiculously addictive!!! They are soooo good and so easy! I am so glad that I discovered your wonderful recipe! They look so delicious and easy. Thanks for sharing. Made these today & dipped them in chocolate. Tasted just like a peppermint patty! How long can the mints be kept frozen prior to an event?Thanks! Yes, they're great with different extracts. Could I leave these out to air dry so I don’t have to keep them in the fridge, I’m afraid they’ll get too soft to serve at my shower. Cream Cheese Mints actually firm up a bit in the fridge, unlike Old Fashioned Butter Mints which benefit from drying in the open air. After being frozen, Will they stick together? I was thinking they would be pretty in clear containers on a candy bar. I have never had them stick together after freezing. I typically freeze them in layers separated by parchment or wax paper.